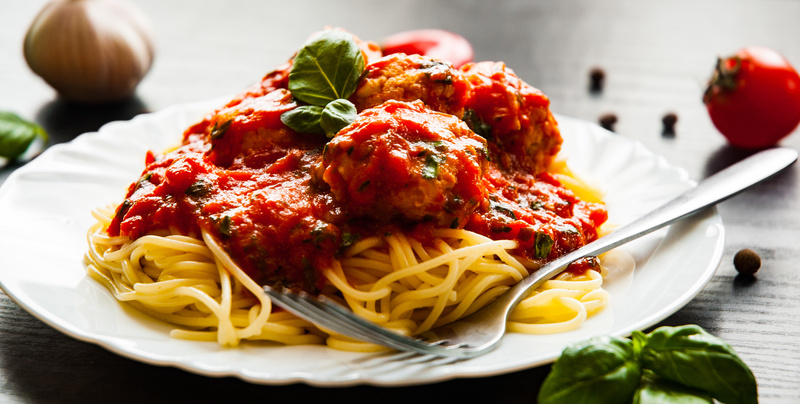 Shake up the old-hat spaghetti and meatballs with this French-inspired twist! In a large stock pot, heat water for pasta. Meanwhile, in a medium-sized bowl, combine ground meat or poultry, egg, bread, ketchup and garlic. Season to taste with black pepper. Form mixture into balls and fry for several minutes, until browned on all sides. In a medium-sized saucepan, bring vinegar, brown sugar, soy sauce and pineapple to boil. Stir in dissolved cornstarch and cook over medium heat until sauce thickens. Add meatballs and cook for 30 minutes. While meatballs are cooking, cook and drain the spaghetti.